Transportation is included with green fee (minimum two players), additional cost applies for non-player companions or juniors. It all started in 2007 when it became the first PGA Tour event to ever happen outside of the United States or Canada and today it is still the only one. Each year this Golf Course and its OHL Classic is part of the history of the PGA Tour and the golf world celebrities. 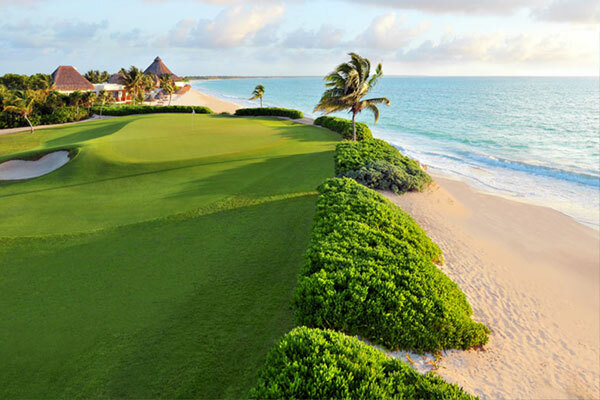 El Camaleon Mayakoba Golf Club was designed by the Australian golf legend, Greg Norman. The 7,039-yard course has three different types of landscapes – tropical jungle, dense mangroves, and oceanfront. There are also limestone canals that complete the beauty and the diversity of the context. As an extra attraction the course has a cavern and a cenote, which is a water hole connected to the underground rivers of the Yucatan Peninsula. 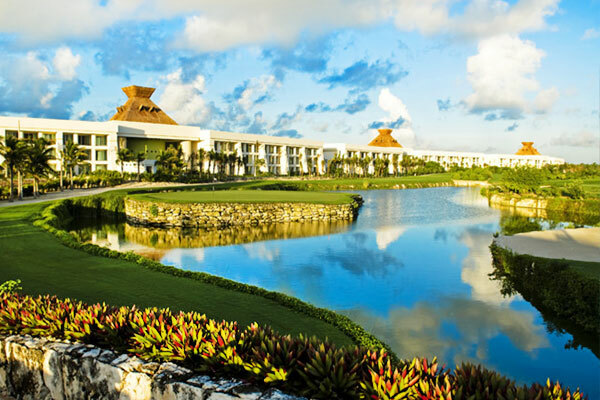 Mayakoba golf course has been designed for golfers of all abilities and has five tee blocks, which means that there is a distance for every player. The clubhouse is situated at the end of the 18th hole and has been designed with a fine taste and commodities.